I’ve made it to Day 3 of this challenge! I’m working through the little towns before I get to the huge overwhelming cities I spent multiple days in!! Today we will travel to Pisa, Italy. 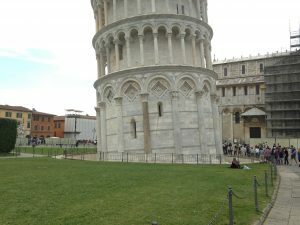 I wanted to go to Venice, Italy but we couldn’t fit it in our schedule so when we were planning our train tickets from Italy to France we decided to stop in Pisa on the way to Milan. I’ve always been intrigued by Pisa. A lot of people say it’s a cliche city to visit (heck a lot of the places I went were cliche places to visit) but I didn’t care it was a fun day trip. When we got off the train we got on a bus to head towards the leaning tower but we kind of got lost (what else is new) so we ate lunch while we figured out where we were and it turned out we were only a few blocks away from the leaning tower. We didn’t have a lot of time so we didn’t climb up the tower but my friend who went last year said you can really feel the “lean” when you climb the tower which makes it HARD to climb. Just her telling me that made me tired! 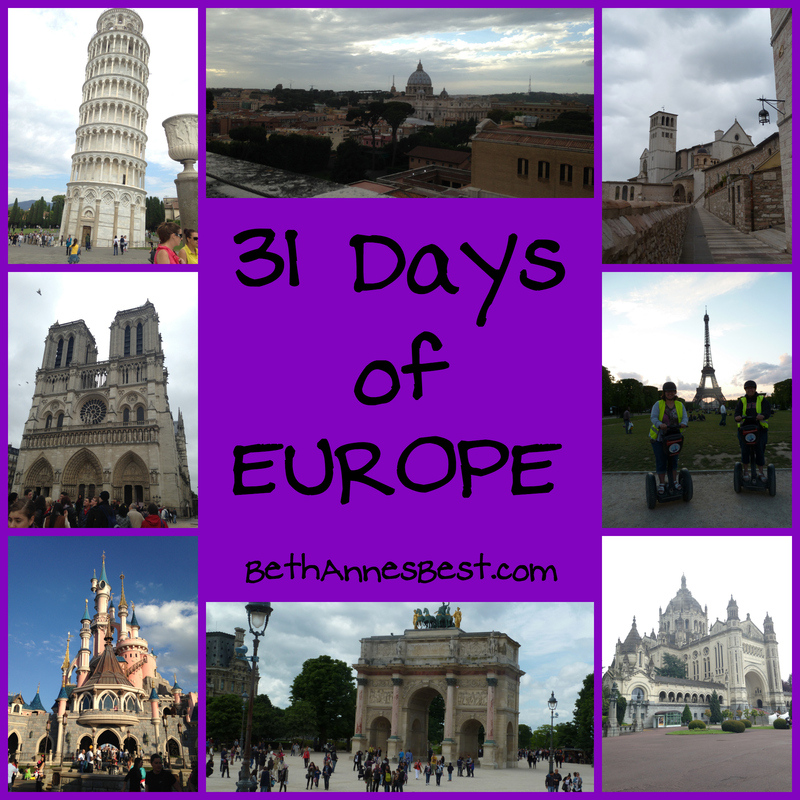 I’m so lazy I didn’t climb any towers/stairs anywhere when I was in Europe! 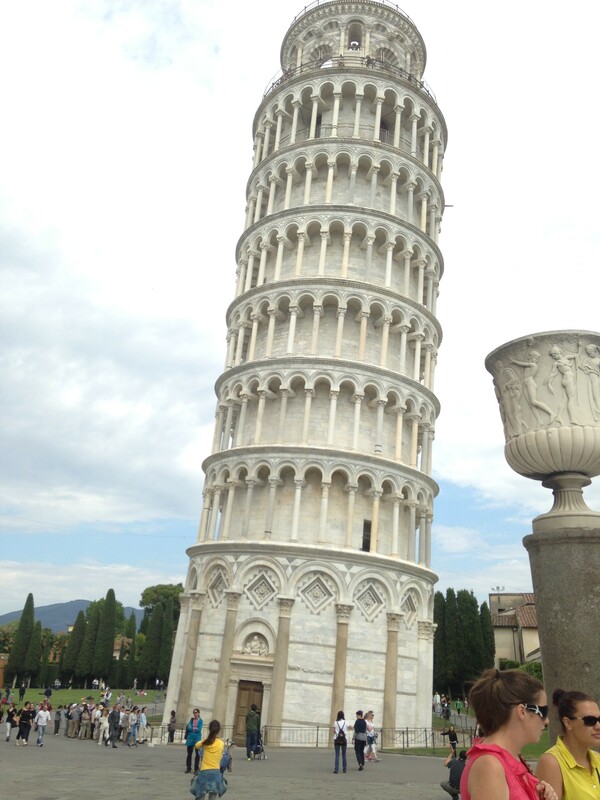 My mom told me I had to take a picture of the bottom of the tower to REALLY tell that it is leaning! I guess otherwise it just looks like you took a crooked picture? So here is the bottom of the tower per her instructions. 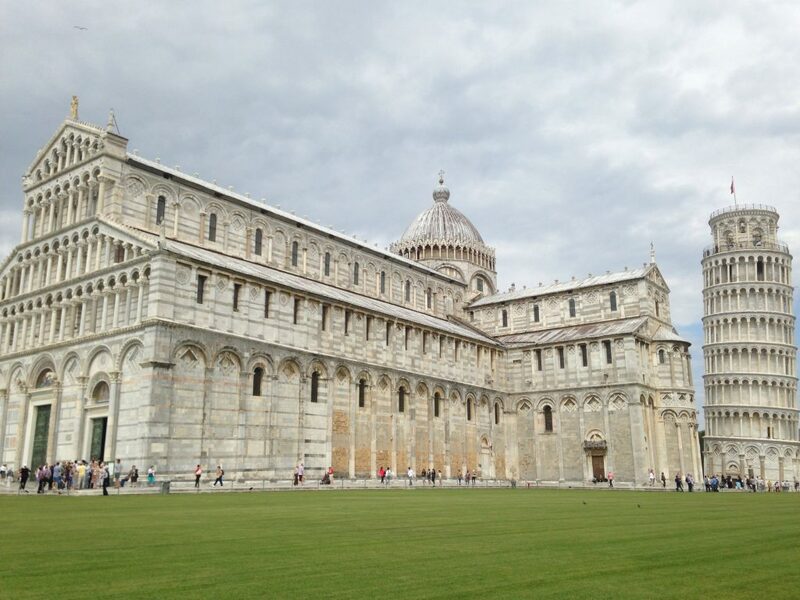 One of the interesting things about the famous parts of Pisa is that it was all connected to a Catholic Church! I had no idea that was what made Pisa so famous. 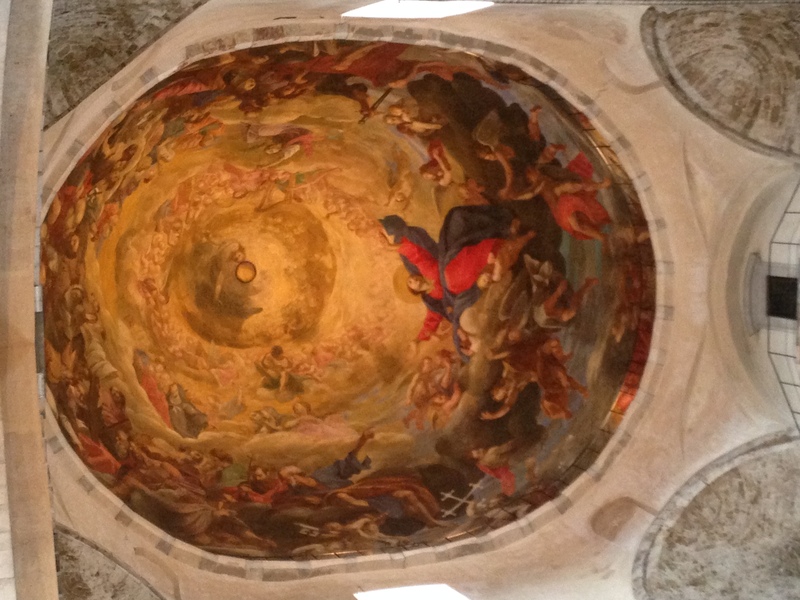 It was really cool to see life so impacted by Catholicism and religion all throughout Europe. The setup to get into the buildings was WEIRD. You had to have tickets to get into everything even though it was free to get into the Cathedral. Also the day we were there there was some kind of race going on so a bunch of the streets were closed off. I almost lost my mom when she went inside to get the tickets because I couldn’t cross the street because the race just happenend to be going through that area! 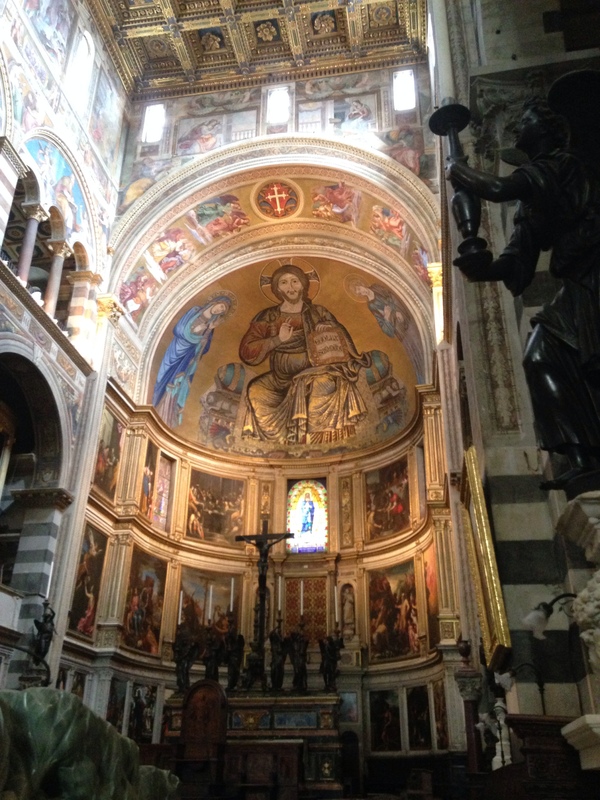 The Cathedral in Pisa was GORGEOUS! After we went into the cathedral we went into this building called “The Baptistry.” We had to pay to get into this building which I thought was weird because it was kind of a church but the building looked interesting and we wanted to go in. 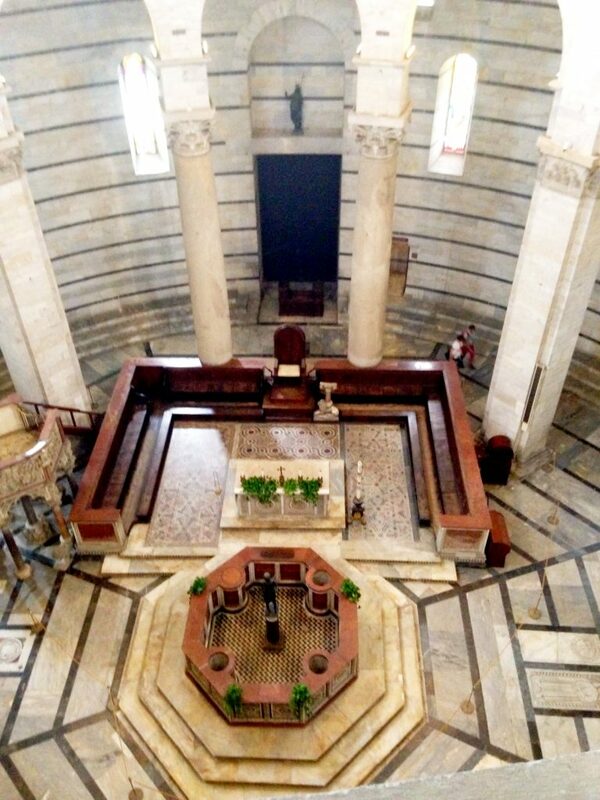 That red part in the middle of that picture is the baptismal font where they would baptize people. This whole building was weird and I probably should do some research as to why they had this separate building for baptizing people. They had a museum there that I’m assuming you were supposed to start in and it told you what all the buildings were for (there were about 6 buildings you could visit) but we didn’t have enough time. 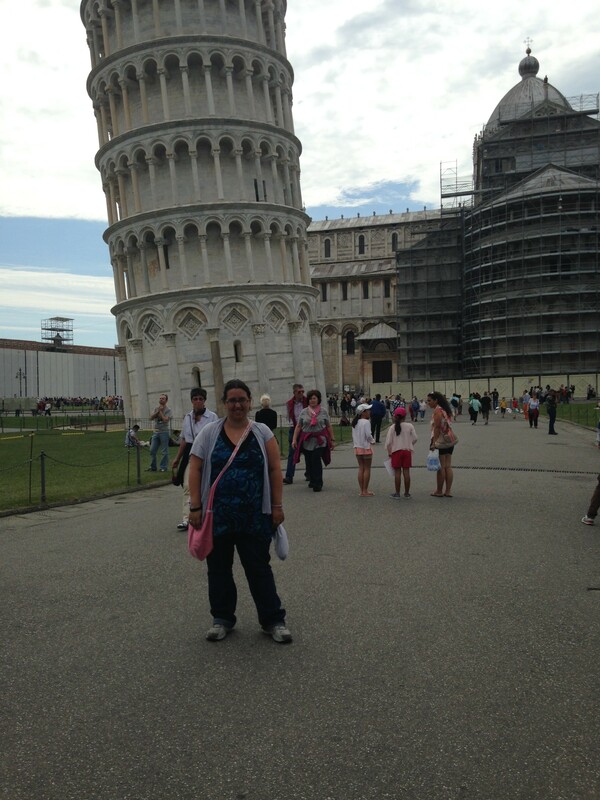 We only had about 5 hours in Pisa until we had to catch our train to Milan. 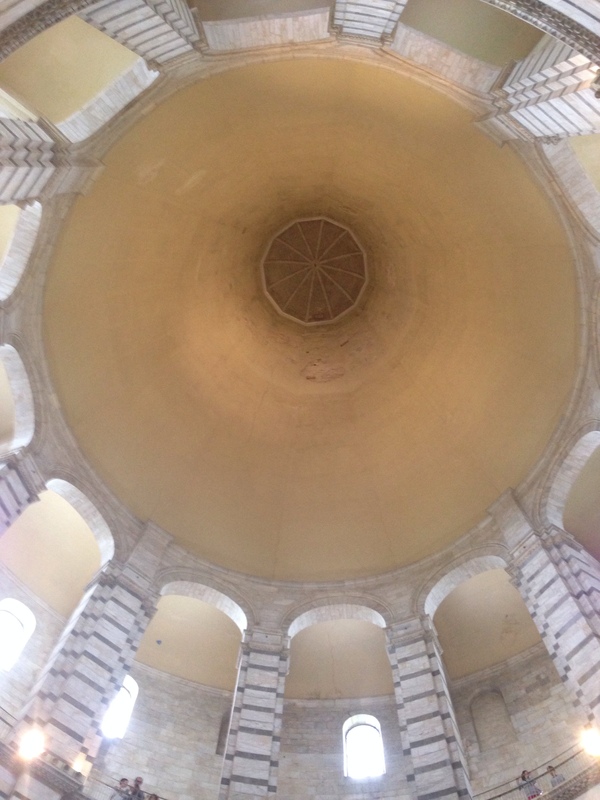 The building was dome shaped so it had a cool roof. 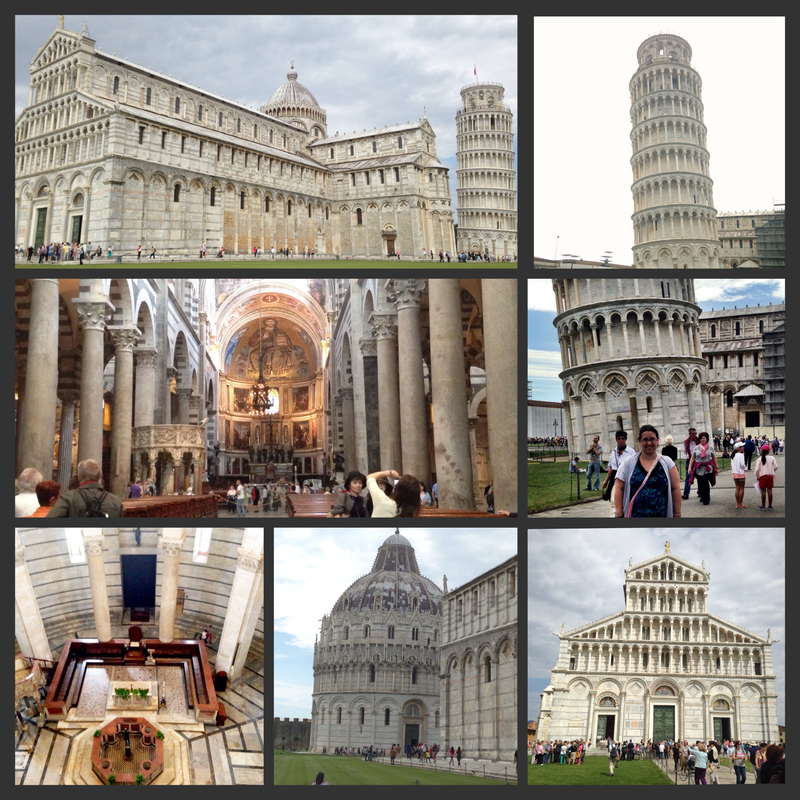 Here is a collage I made with several of the pictures I took of our cliche day trip to Pisa! It was a fun place to visit even if it was only for a few hours. Pisa is a popular cruise ship stop as it’s not very far from the water and there were TONS of tour groups and cruise ship groups there touring. As you can see in some of the pictures it was pretty crowded the day we were there. If you’re just finding me from my 31 Days of Blogging go here to my landing page to catch up on all the posts!